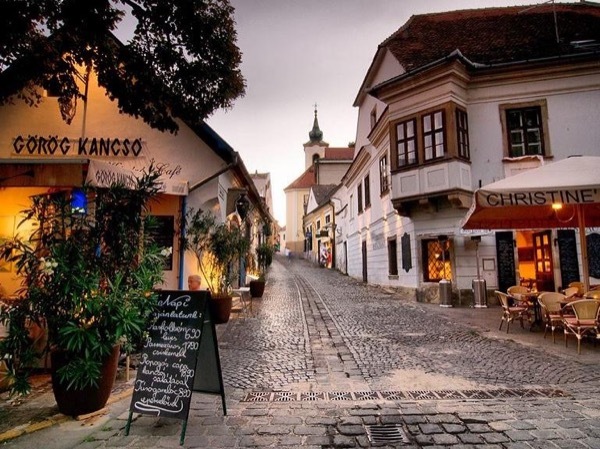 Traveler Reviews for Private Tour in Szentendre, Pest, Hungary by Tour Guide Balint T.
Balint was kind, charming and supremely knowledgeable on all things Hungary & Budapest. Clean vehicle, good driving. Unlike many guides, he didn't drone on endlessly but rather was receptive to our interests and engaged us in conversations rather than lectures. Balint was the perfect tour guide. It was evident from first meeting him that he is passionate about his job and his country. Balint is exceptionally personable yet professional. We highly recommend Balint, and he will be our only choice when returnting to Budapest. I found the tour to be interesting but due to having restricted mobility I don't think I could take full advantage of what was on offer. Appreciate our tour guide having a plan B and taking us for a ride through the mountains to appreciate the autumn colours on our return to the city. TOUR GUIDE RESPONSE: Thank you so much for the 5 stars rating, Shirley! I wish there were 200 stars - charming, knowledgeable, accommodating, interesting. Absolutely excellent. TOUR GUIDE RESPONSE: Penny, Errol, thank you very much for your kind rating! It was a great time together indeed!